This is the look i’ll be wearing to your funeral. First I’d like to wish all my Muslim sisters a Ramadan Kareem I know it’s just day two but i am ready to receive any invites for Iftar ( side eyes to you all) . Your food is LIFE!!! 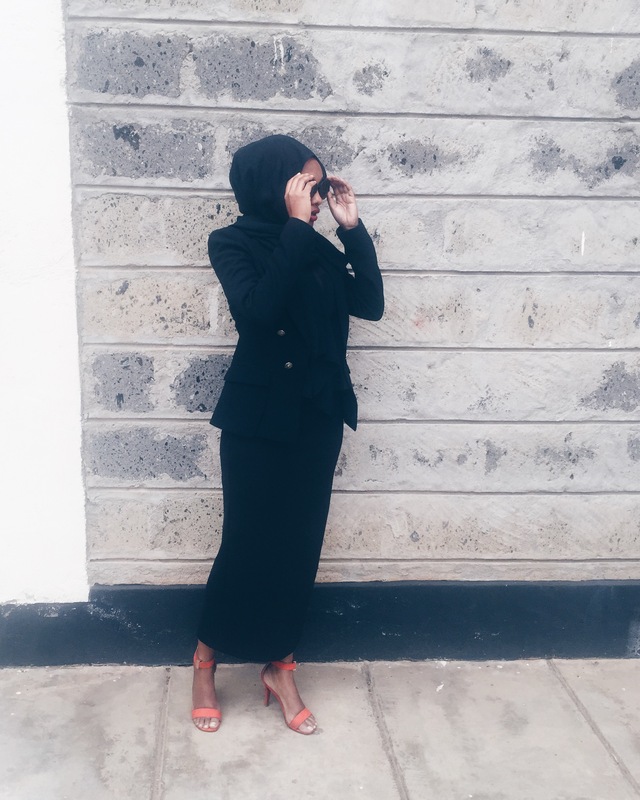 I think this is my favorite hijabi look to date , as you know I love black and styling this look was in my head for days and as soon as I finally saw it on her I loved it . This is the type of look you’d see me wearing everyday if I was a hijabi I think it’s chic and prettyyy cool plus with a pop of red , that never hurt anybody !! I wish you all an amazing Ramadan and pray that Allah hears and answers all your prayers.